Touch a tile and slide it with your finger. Match 3 tiles of the same color to break them. Match 4 or 5 tiles in different shapes to create different gem power-ups! Combine Special Power-Ups to Unleash Powerful Effects. Accomplish each levels objective and beat the target score to advance the story and unlock new levels. Tip: Having trouble reaching the target score? Make matches quickly to earn score multipliers. You can always get magic points by obtaining stars and replaying levels. You can get full lives in Maleficent Free Fall app at anytime. You need to wait 30 minutes for each life you lost and you can only gain maximum of 5 lives in the game. But not anymore, you can get this cheat by changing your phone's time setting. Close your Maleficent Free Fall app by either restarting your phone or by killing it on your task manager. Open Maleficent Free Fall app and you will get your full Lives. 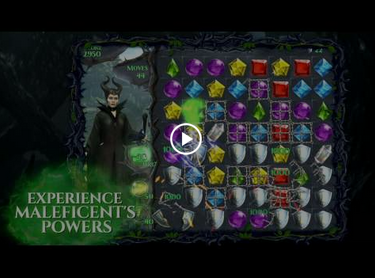 Open Maleficent Free Fall app but do not play a single game. Open Maleficent Free Fall app just to make sure that there is no problem.